While we've seen some pretty amazing custom levels on PlayStation 3's Little Big Planet, Microsoft's answer to a user generated content game is a bit different. 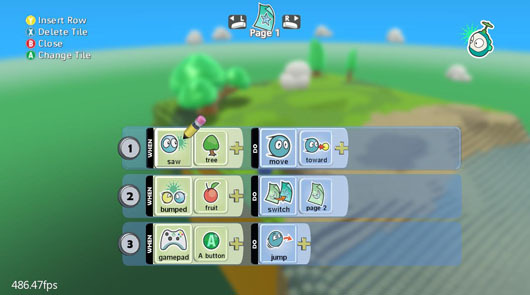 The toolkit is called Kodu, and it's designed from the ground up to be a visual programming experience. While there's no way to create the game in a cooperative mode, you can create cooperative experiences and then share them with your friends. It's incredibly easy to add more players to the mix with the easy to use script language and before you know it you can have a playground for your friends. I played around a bit with Kodu last night to see what I could make, and in about 10 minutes I created a really simple racing game. So how does it work? Here's an example of how you would create character movement. Add Character to the world. Edit Character script. Add On Controller->Left Analog Stick. Ad Do->Move. Done. Yup, that's it. All done from a quick radial menu. There's a whole cast of predefine models and characters to use, a world and terrain editor, and tons of preset materials. Which brings me to the downside of Kodu - the lack of any ability to create your own materials and objects. You must use the ones included with the game. The other downside is the games you create in Kodu, must be played inside Kodu. There's no way to share them with friends outside of the game. Still, all that being said I was amazed at how quick and easy it was to set up a game with racing, exploding rockets, and an engine that already handles physics and particles for you. All of which are customizable. So what say you Co-Optimus readers! 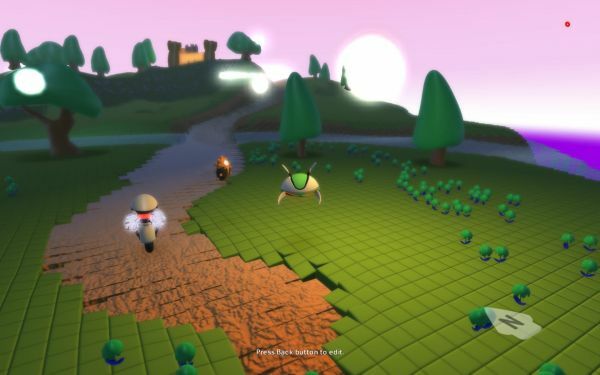 Think you can create a fun little co-op game in Kodu? If so let us know! Kodu costs 400 or $5 and is out under the Community Games Channel on Xbox Live now! Page created in 0.6497 seconds.